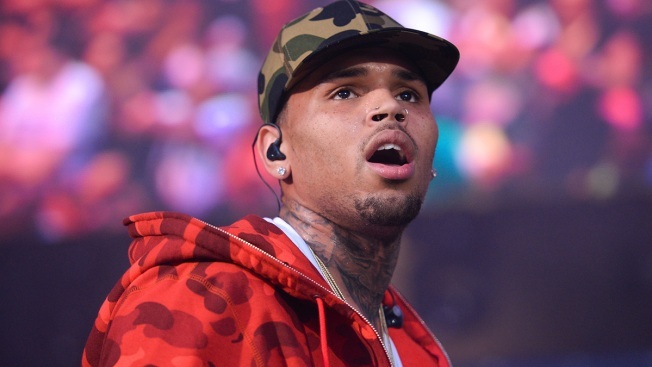 FILE - In this June 7, 2015, file photo, rapper Chris Brown performs at the 2015 Hot 97 Summer Jam at MetLife Stadium in East Rutherford, N.J.
Chris Brown has been charged with misdemeanors over his possession of an un-permitted capuchin monkey he kept at his home. The Los Angeles city attorney's office confirms Thursday that the 29-year-old singer was charged last week with two counts stemming from his possession of a pet capuchin monkey without a permit. Brown posted a picture to his 44 million Instagram followers in January showing his 3-year-old daughter, Royalty, cuddling with the monkey, named Fiji. California fish and wildlife agents took the monkey away soon after. Brown is scheduled to be arraigned Feb. 6. An after-hours email seeking comment from his attorney Mark Geragos was not immediately returned.